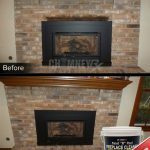 Have a smoke and soot stained fireplace? 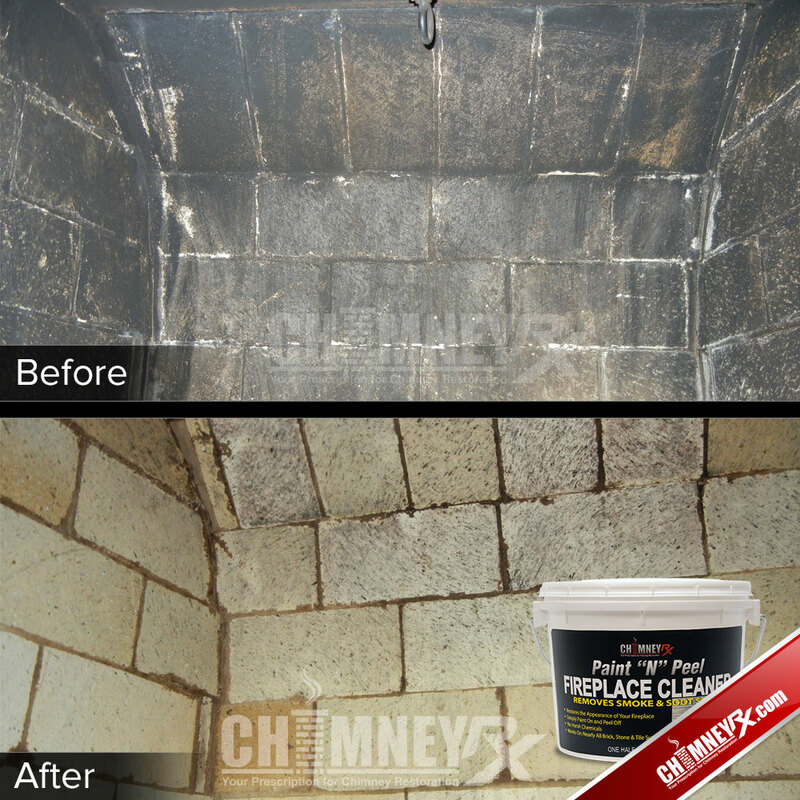 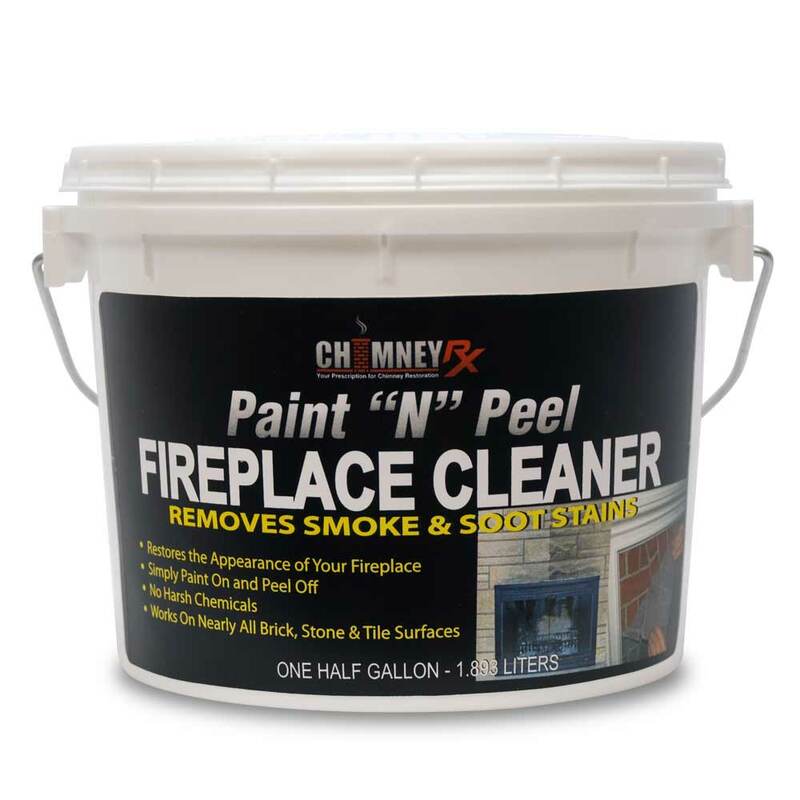 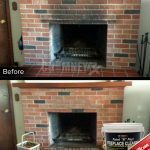 ChimneyRx Paint “N” Peel Fireplace Cleaner is your answer. 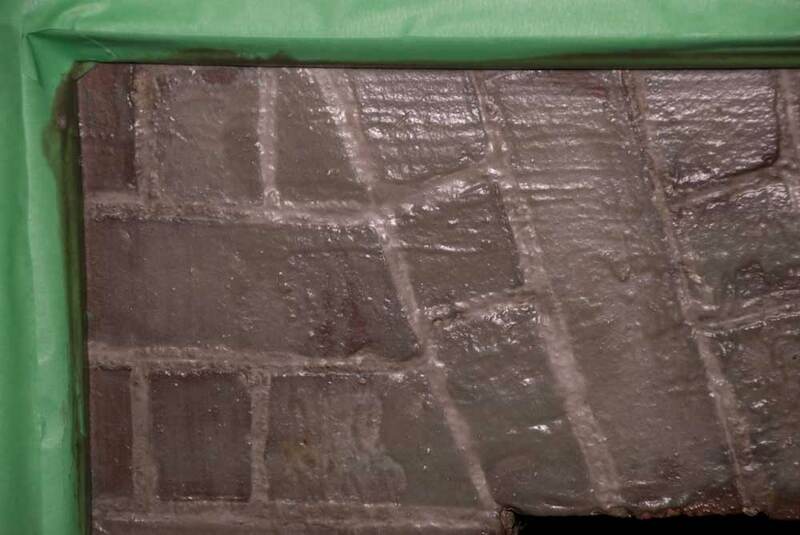 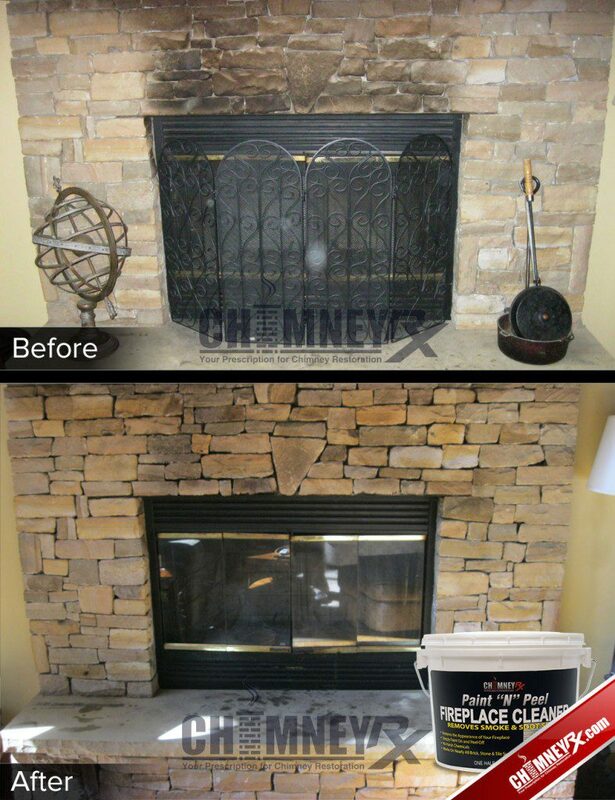 Over time small, black, carbon-based particles embed into your masonry surface around your fireplace. 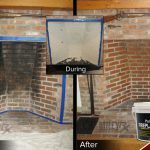 These stains are very difficult to remove and usually require the use of harsh chemicals and a lot of time and mess until now in your home. 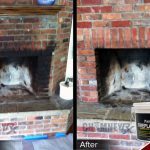 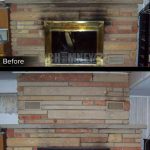 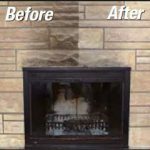 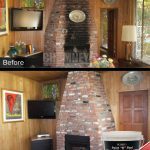 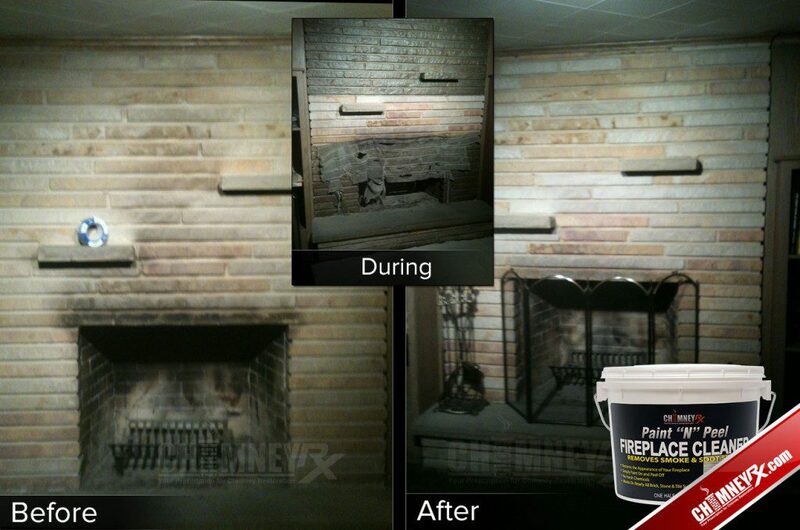 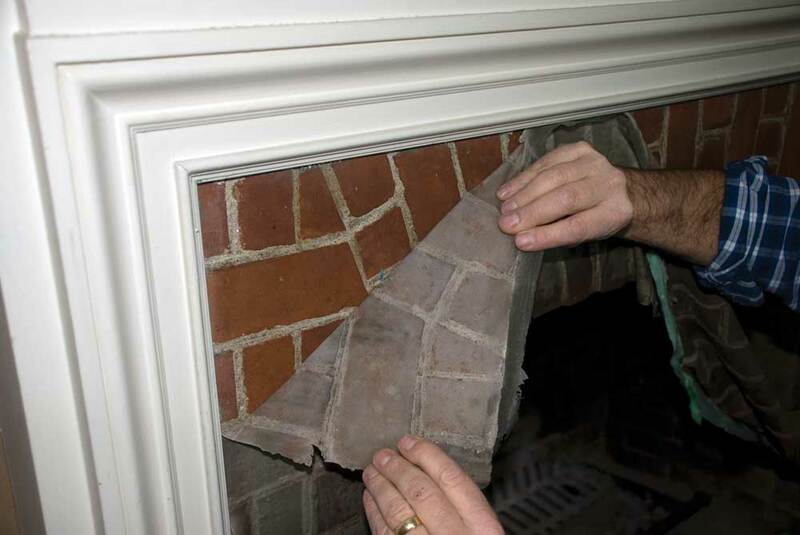 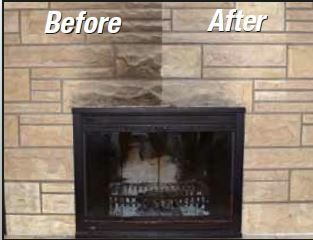 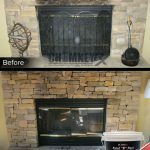 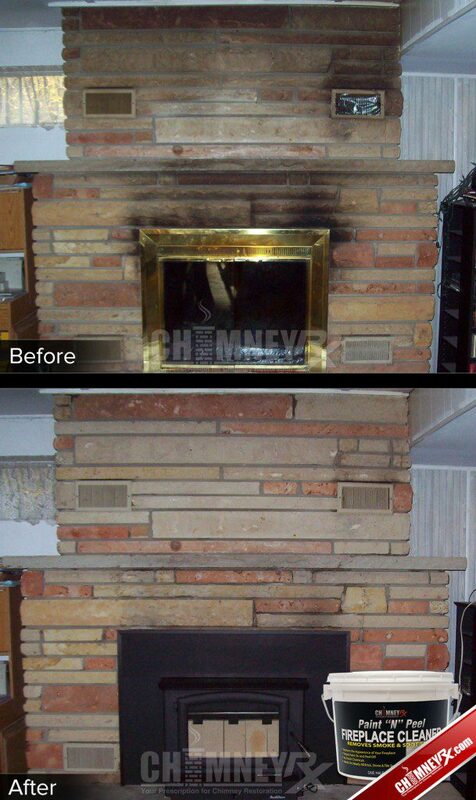 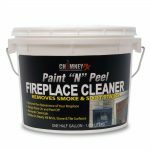 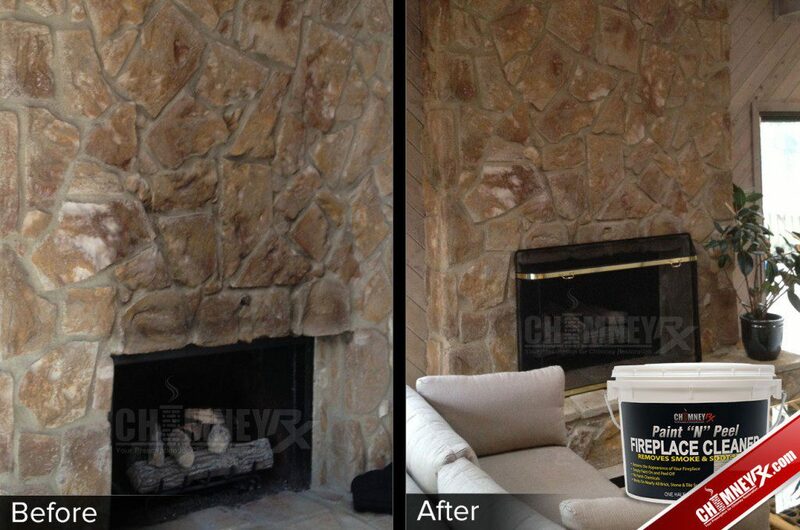 With Chimney Rx Paint “N” Peel Fireplace Cleaner, your fireplace can look new again. 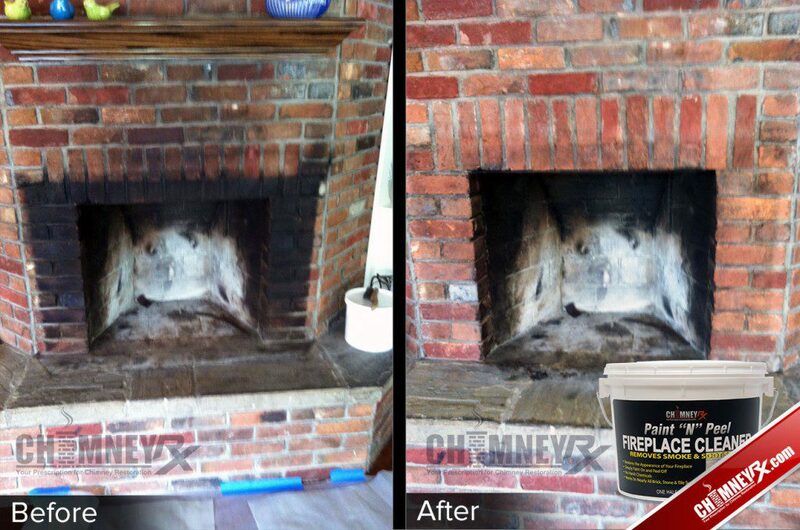 The cleaner is specially formulated to remove smoke and soot stains. 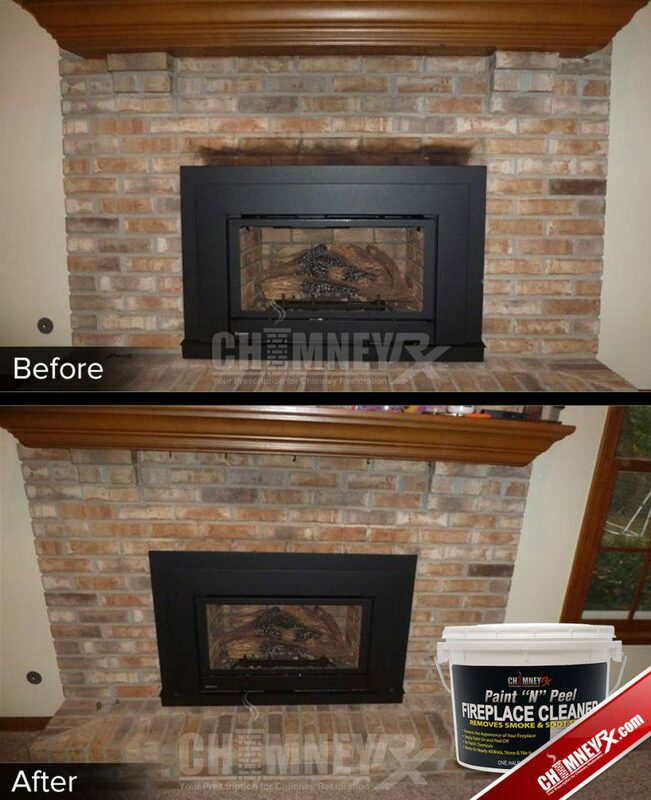 Tape off painted surfaces, glass doors, mantels, and any surrounding surface not to be cleaned. 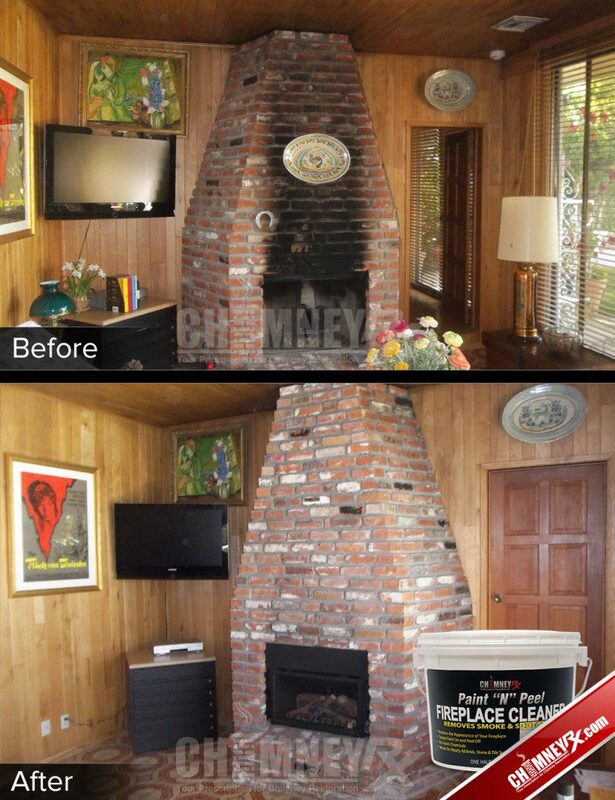 Stir product thoroughly. 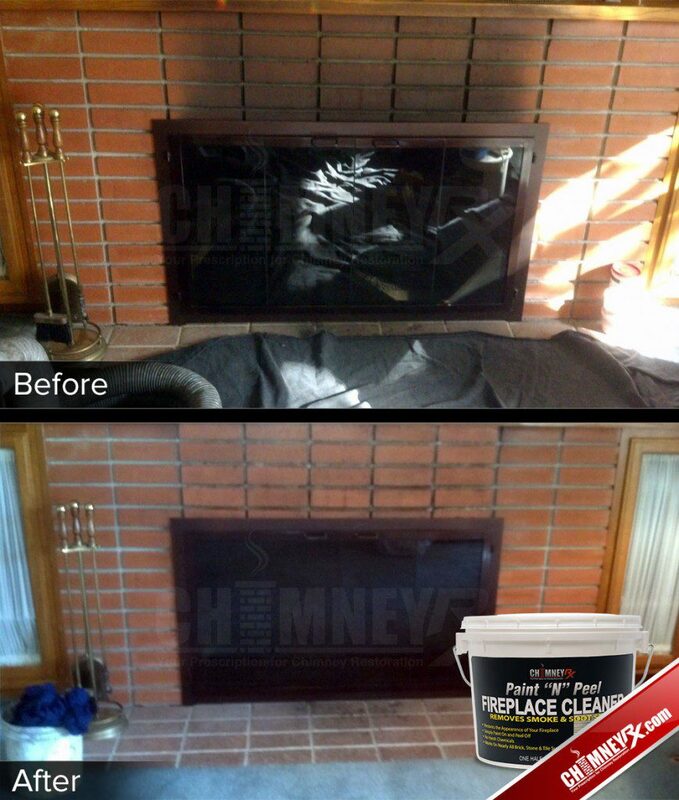 Apply a thick, liberal coat approximately 1/8″-3/16″ thickness using a paint brush and/or a thick nap roller. 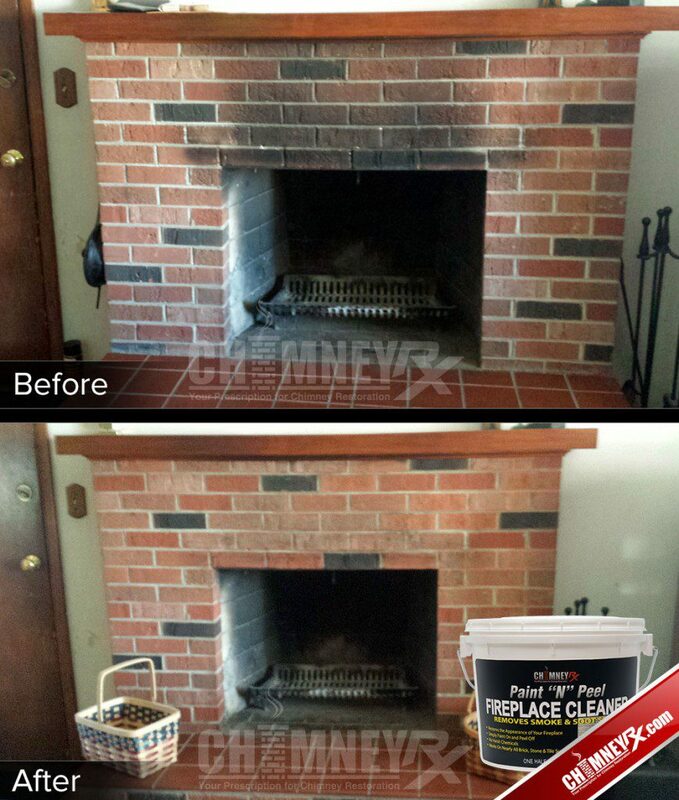 Ensure a thick, even coat. 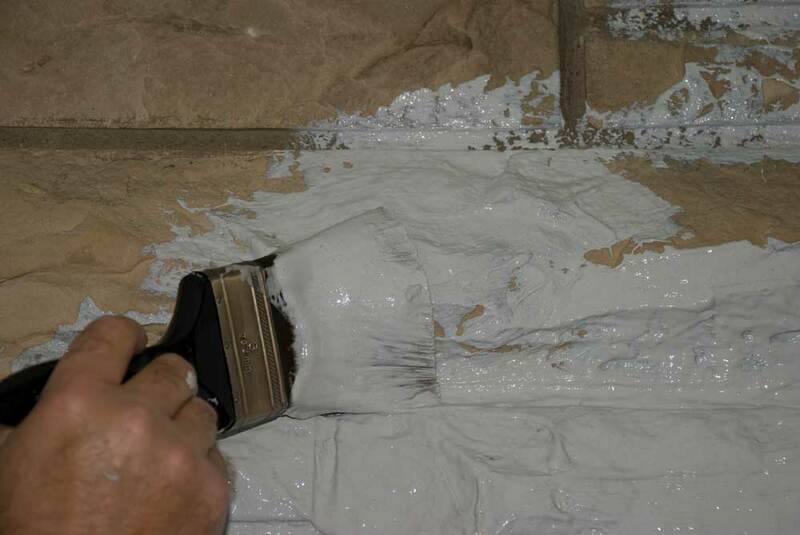 When applied at a 1/8″-3/16″ thickness, 1/2 gallon will cover about 20-40 sq. 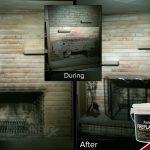 ft.
Let the product dry for at least 24-48 hours. 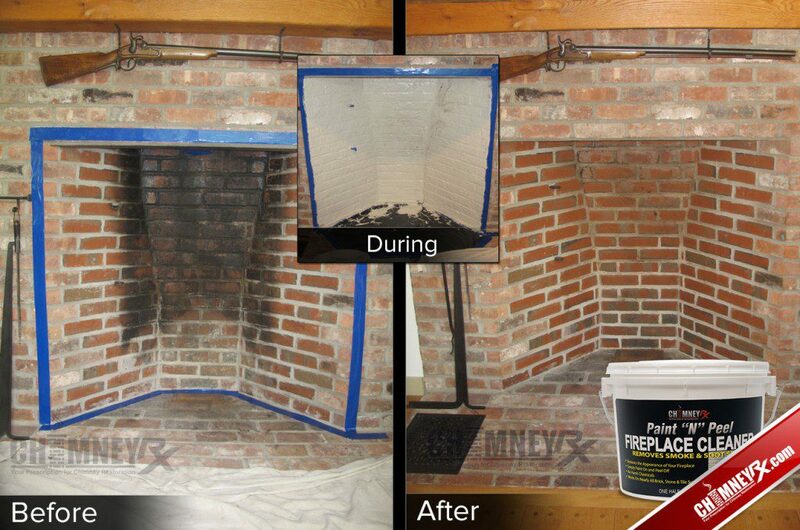 The product will dry to a thick, rubbery, non-hazardous film. 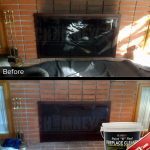 When completely dry, the film is easily peeled away from the surface and discarded, bringing years of smoke and soot stains with it.